syria a video by thnomad on Flickr. 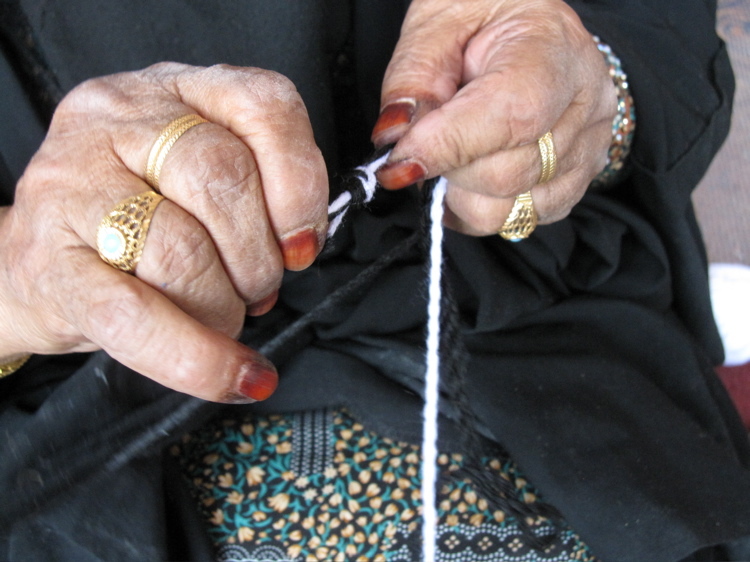 I haven't gone back to Syria, probably couldn't right now, but my mind keeps going there, hoping for peace. 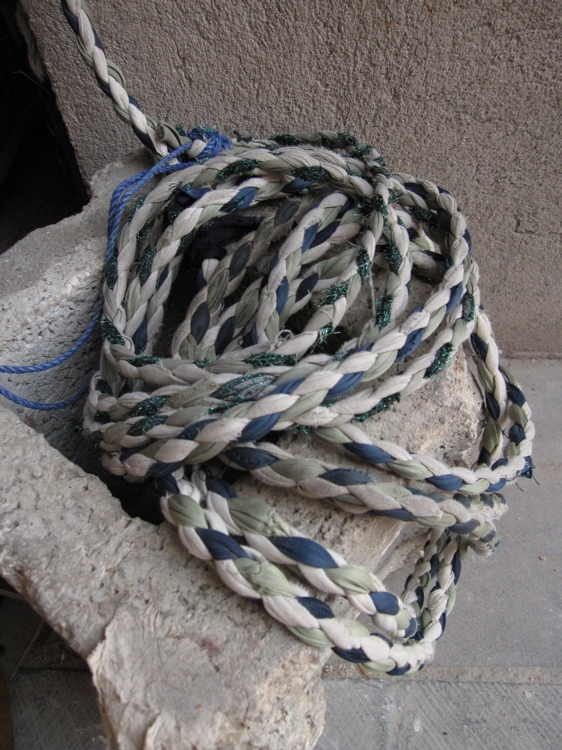 This is from behind the Ummayed Mosque in Damascus, on a rainy Friday before things changed. 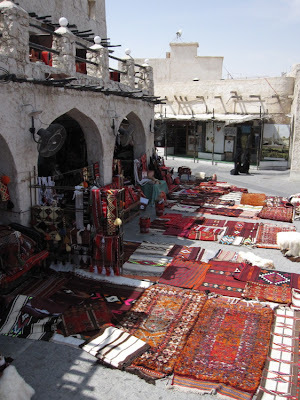 I've been visiting Souq Waqif here in Doha regularly, particularly the small arcade where Qatari women sell rugs and other woven textiles. 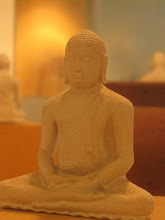 There is so much to see that I'm overwhelmed each time. 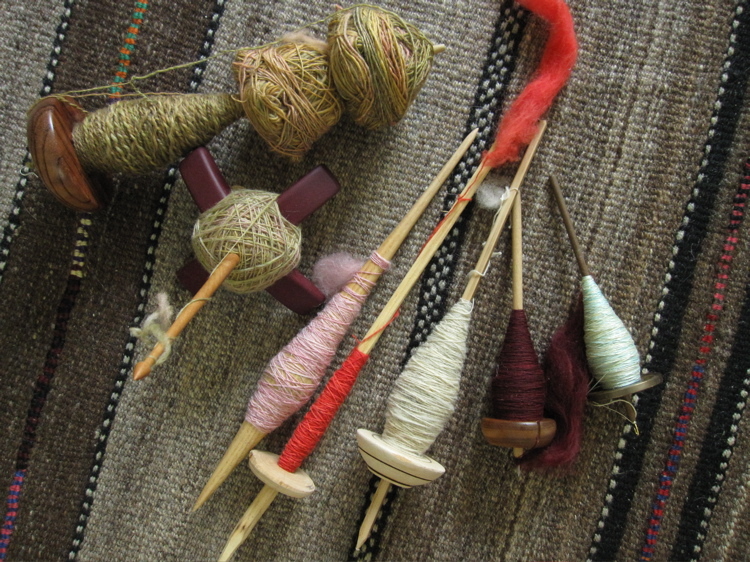 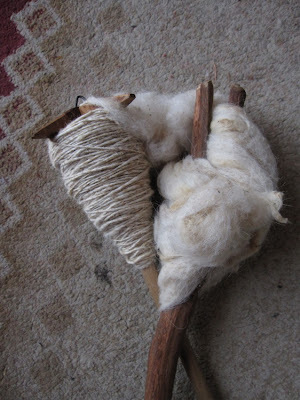 I've been focused on the women's spinning and weaving, obvious uses of string that are most interesting to me, and I've been gratified to see both in action. 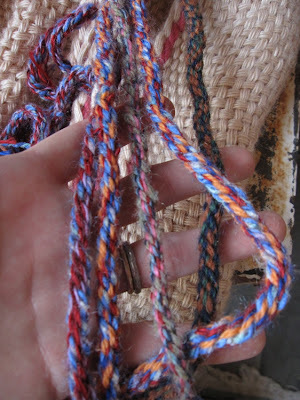 However, I keep noticing how often they are making different types of string for different uses, and how easily a strong bit of rope is simply accomplished from the bits at hand. This is second nature for a nomadic people who have lived in tents and herded animals in the desert for centuries. 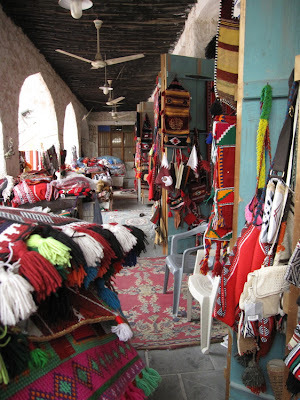 Camel leads and hobbles, reins, straps and saddle belts have been handcrafted as part of daily existence, along with the walls of the tent, the ropes for securing them, and all kinds of bags and rugs. 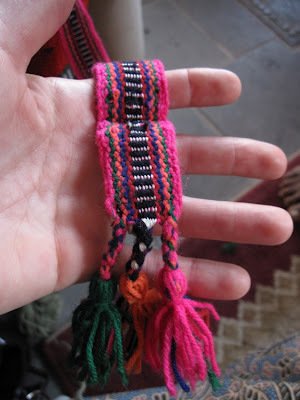 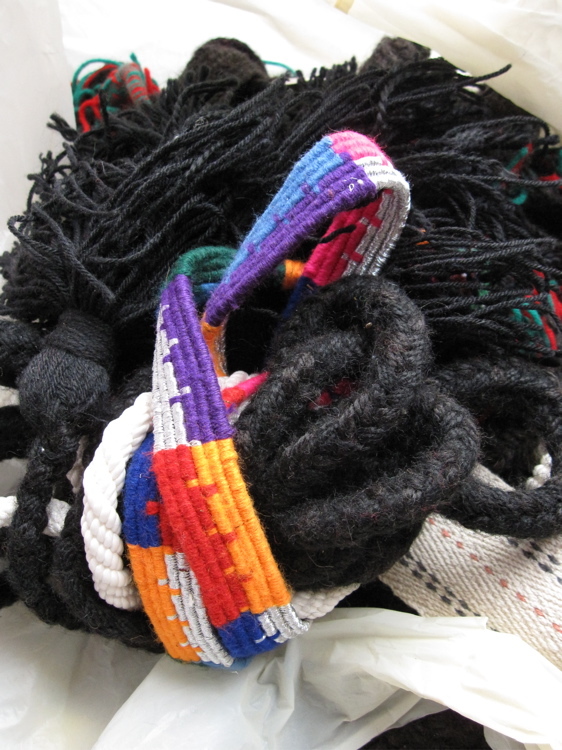 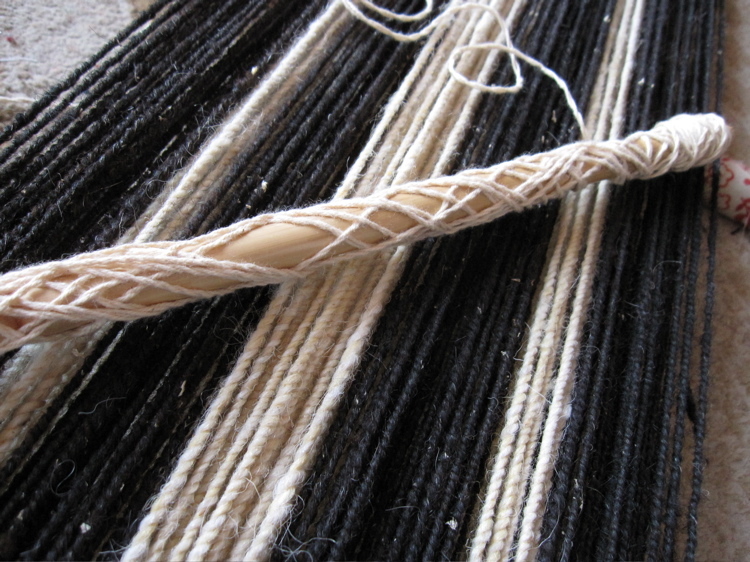 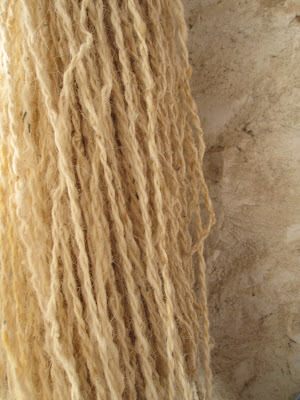 As a result, there is a huge variety of techniques, with string that is braided, wrapped, woven, wound, twisted, and very often tasselled, depending on its intended use. 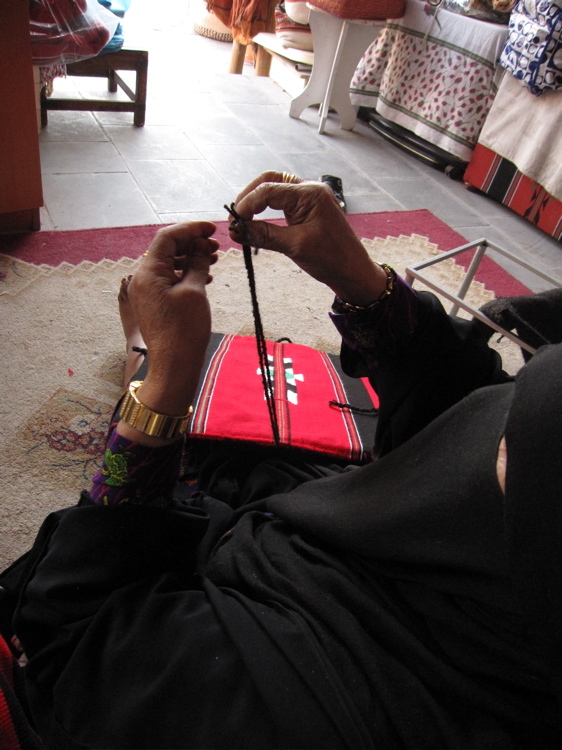 Here, she is about to put her palms together against that double strand of two-ply yarn, and twist it smoothly into a cabled length to use as a tie. 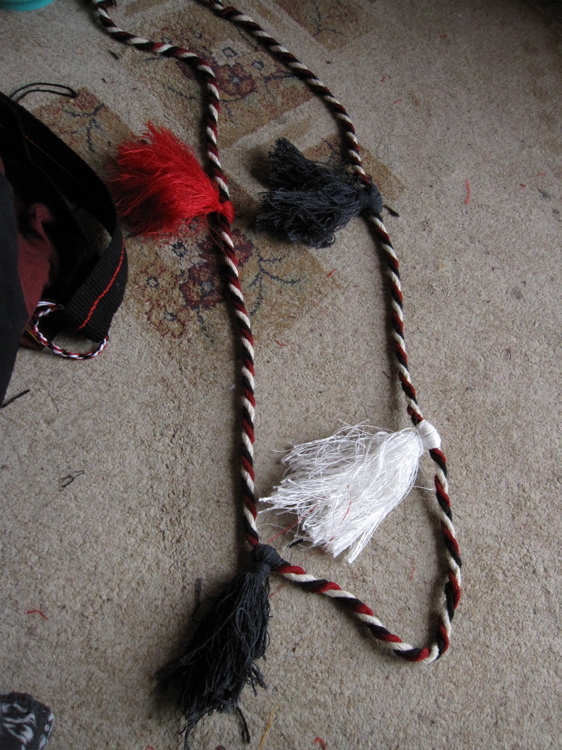 Each tie takes only a few seconds of fluid motion. 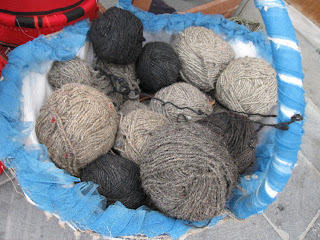 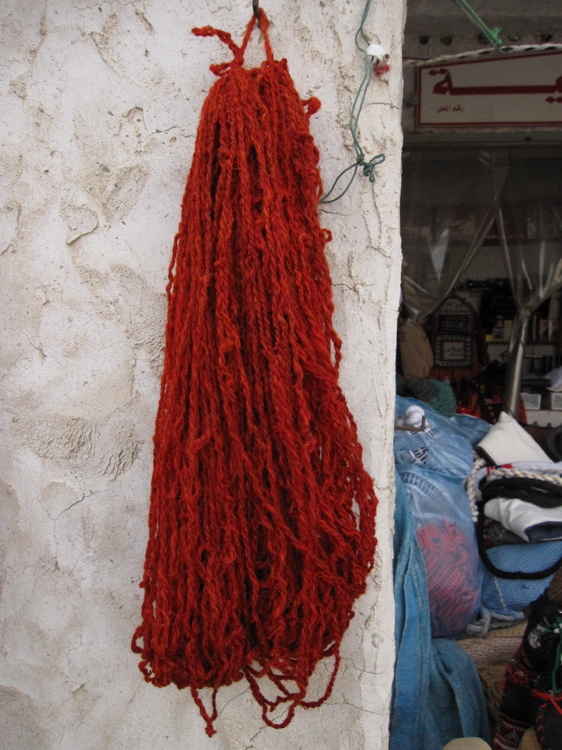 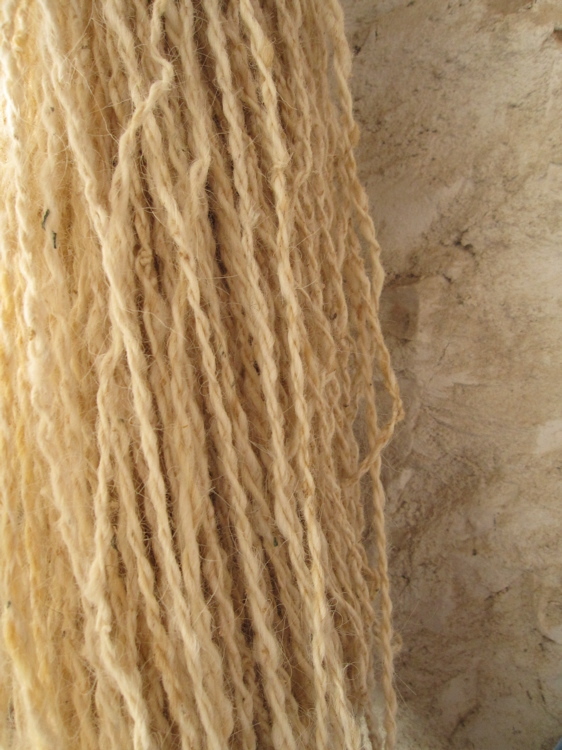 I had been pleased to find evidence of handspun yarn in the souq, but it's clear that this is only one among many ways these women have of creating the things they have traditionally needed. This arcade is filled with countless other examples of useful string, colorful and elegant, widening my appreciation for Bedouin craftswomen and their timeless knowledge. 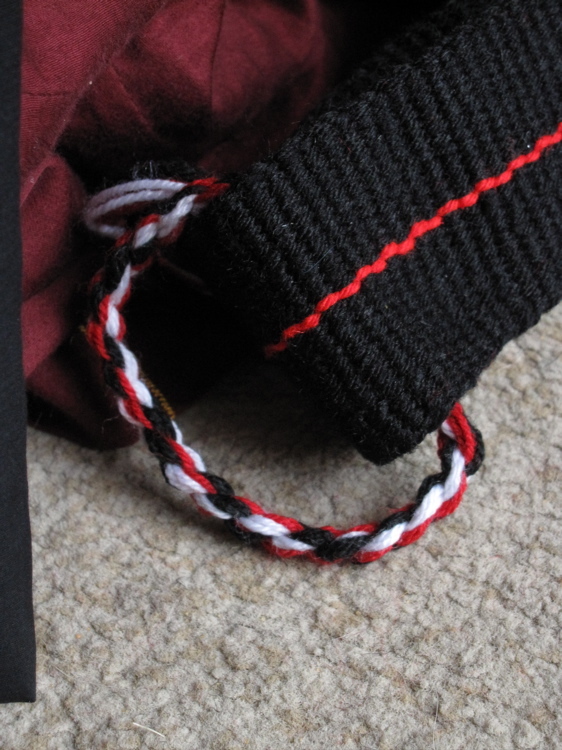 Meanwhile, my own experiments with string continue.